I’m one of those old people who tells the same morality tale to middle schoolers so many times that eventually the mere utterance of the first line elicits impressive eye rolls. One of them is the Tale of the Forgotten Essay, which I don’t think any of my classes hear fewer than three times. The other is the Tale of Lindsey Hudson. I spent the entirety of my time in college totally overwhelmed. I would start an essay the morning it was due and work frantically to finish before parking illegally on campus and running full-tilt to my professor’s office to turn it in, hoping she wouldn’t notice that it was three minutes late. This wasn’t laziness on my part — far from it. It’s just that all the days I could’ve been working on that essay, I was working on other imminently due work: meeting up with a group to hack through chemistry problem sets, staying up all night studying for calculus tests, putting in hours in the biology lab, and wading through hundreds of pages of reading. One night during exam week, I found myself sitting at my desk in the wee hours of the morning studying in a panic, eating hot cocoa mix straight from the canister. At this point in the story, my students usually interrupt to ask, “Why cocoa mix? !” and the answer is simply that the only other things in my dorm room were a block of cheese and some sugar-free jello, and frankly cocoa mix didn’t seem like the worst option. I made good grades and was successful at nearly everything I tried during college (side eye at genomics), but at such a cost. Exhaustion, stress, and meltdowns were my every day reality. Contrast this with Lindsey Hudson. Lindsey was a dear friend in college who had it ALL together. She was the kid who had her essays completed two weeks before their due date, who ate three healthy meals per day, who exercised every morning. She was in bed before 10 pm every single night. Her grades were better than mine. Everything she did seemed effortless. I loved that girl but I also hated her (not really, but you know what I mean). She was and still is my #lifegoal. 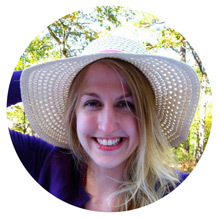 And I tell my students my #teachergoal is to teach them how to be Lindsey Hudson NOW — learning time management and organization skills, developing a savvy work flow, and experimenting with planners — so they never find themselves eating cocoa mix straight from the canister in the wee hours of the morning. My old habits died hard (and some of them are still hanging on). I was finally diagnosed with ADHD at 31 years old, but so far I haven’t found the right medication for me. I’m relying instead on the coping skills I’ve pieced together over three decades: redundant alarms and reminders, lists, and routines. Even still, I manage to forget that plants need water to stay alive and to lock my keys in my car on a regular basis. 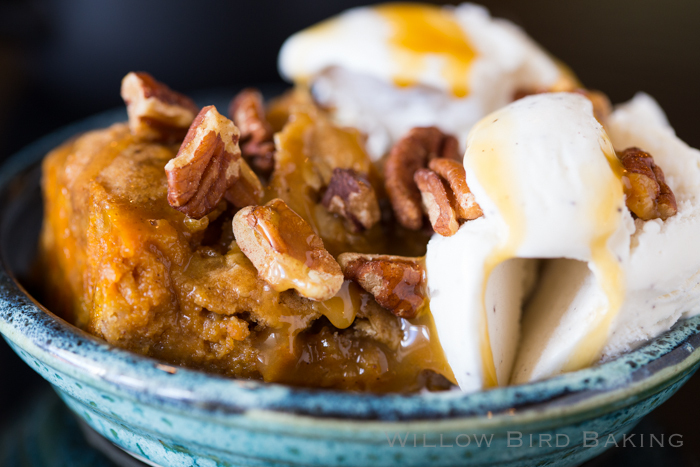 Let’s chat (over some delicious Pumpkin Pie Carmelitas, perhaps)? What are your favorite time management and organization tricks? What keeps you on track with your to-do list? 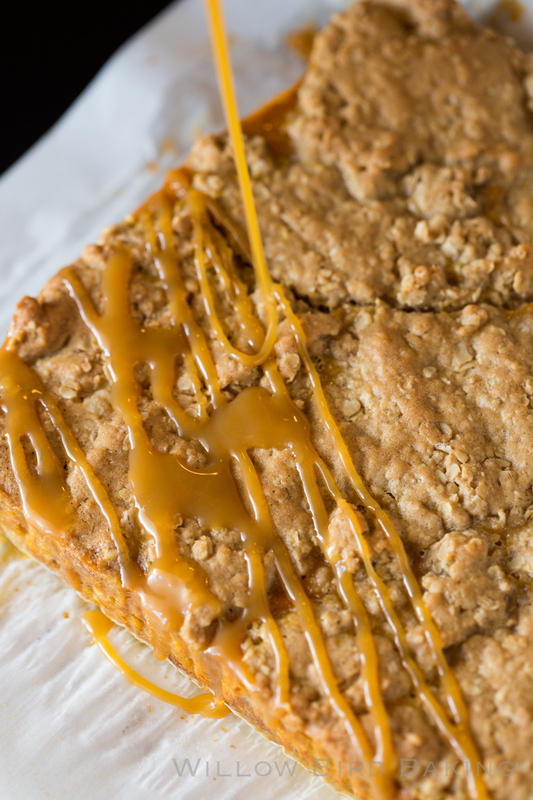 All the gooey, oatmeal goodness of regular carmelitas with a delicious pumpkin twist for fall! 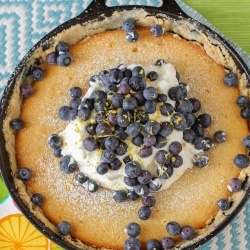 These are so delicious warmed up with a big scoop of vanilla bean ice cream. Preheat the oven to 350 degrees and line a baking sheet with foil. Line a 9-inch square baking pan with parchment paper, leaving an overhang that will help you to pull the bars out later. Spray the paper a little with cooking spray. Toast the pecans by spreading them on the foil-lined baking sheet and baking for around 6-7 minutes, tossing occasionally, until fragrant. Set them aside. Beat the butter in a large mixing bowl until fluffy. Add the brown sugars and cream until fluffy, 2-3 minutes, scraping down the bowl as needed. Beat in egg, vanilla extract, baking soda, cinnamon, and salt. Add the flour slowly, mixing until just combined, and then stir in the oats. Press about 2/3 of the dough into your parchment-lined pan, covering the bottom. In a small bowl, whisk together the sugar, cinnamon, salt, ginger, and cloves. In a large bowl, whisk together the egg, pumpkin, and this sugar mixture. Gradually whisk in the evaporated milk. Pour this mixture over the prepared base. Take pinches of the rest of your oat mixture and flatten them into "shingles" in your hands, laying them over top of your pumpkin and caramel filling until it's roughly covered. Bake the bars for 32-35 minutes. If your top crust begins to get brown, cover the pan with foil for the last bit of baking. Let the bars cool in the pan until they are room temperature (at least two hours). Drizzle them with caramel sauce and top with toasted pecans. You can store them in an airtight container in the fridge until you're ready to serve them -- and at that point, I recommend heating them up and adding a big scoop of vanilla bean ice cream! These look delicious! The fall flavors and the gooey center I bet are delightful! Your college experience sounds a lot like mine – total chaos and the everyday melt down. I can laugh about it now, but at the time I did no such thing haha. I’m still trying to work out my time managment – I think one thing that I find to help the most is to make lists of e v e r y t h i n g! 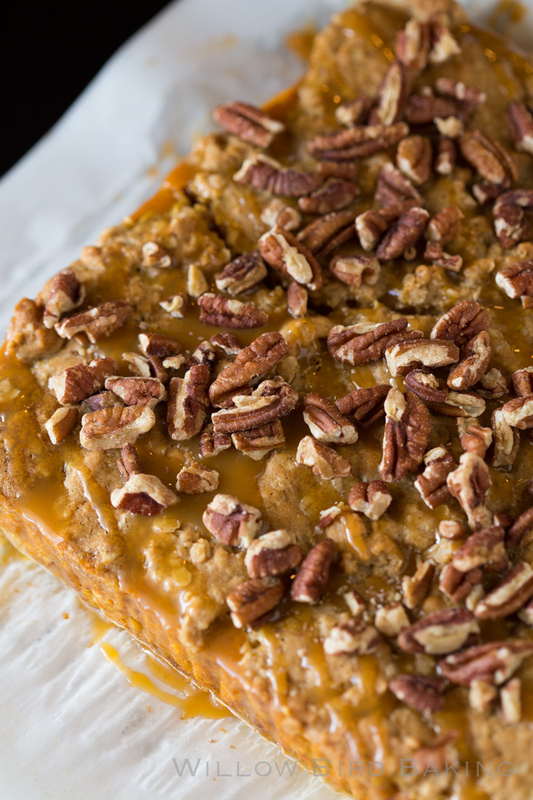 The satisfaction I get from crossing something off is amazing, and I feel like it helps get a little of the chaos out of my head….now on to these pumpkin caremlitas…that caramel is killing me it looks so good! 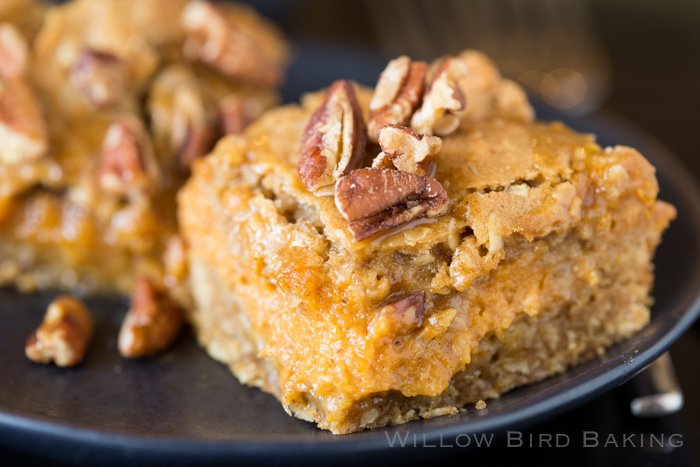 Yay for pumpkin recipes that make me drool all over my keyboard! How have I never had a carmelita before?! These are seriously rocking my taste buds this morning, and I love the pumpkin in there! Pinned! This pumpkin pie themed recipe looks so delicious! Since you asked… I keep a daily list on a Note on my phone. It’s updated constantly! I love Carmelitas and this pumpkin version looks goooood! Funny, while I was reading your description of your overwhelming time in college, I thought to myself, “Sounds like ADHD.” The only reason I know is because my 14-year-old daughter was diagnosed with it in May. Two months after that, my husband was diagnosed as well! Fortunately, they have found medication that helps them. Hope you are able to find something to help you as well! I’ve got these carmelitas on my to-do list for this weekend! Ahhh organizing is a task within itself, but one that definitely pays off. I found myself in a rut of endless nights and zombie mornings because I didn’t have any routine or schedule. I was all over the place…juggling a million different things at once. Finally, I bought a plan book…and I have to say it actually worked. I thought with the stress of work and my endless to-do list I would forget to write in it, but it’s like my bible now. I have it with me wherever I go and because of it, I get more done than before. I’m not perfect though…far from it. Sometimes, I have assignments creep up on me and then end up pulling all-nighters to get them in; and forget about one plant, I’ve killed an entire garden due to lack of time management. But yeah, we all know a Lindsey Hudson. Haha. Oh well…you see, it’s not just you. It’s life. Everyone deals with it. On to these carmelitas…totally new to me, but all that gooey gooey goodness is calling my name. 😀 Looks insanely delicious! I just want to curl up on the couch, buried in a fuzzy blanket, and eat all of this. Time management, you ask? For me to be able to juggle my work meetings, volunteer work, the kids appointments, pay household bills and home maintenance I heavily rely on my iPhone calendar with reminders. The calendar can be color coded and every member of my family has an assigned color. This allows me to quickly see what appointments any member of my family has on a given day, just by looking for their assigned color. Carmelitas look yummy! I lock keys in my car when I park and don’t get immediately out of the car. My “routine” is interrupted and they stay in the ignition! SO now I carry an extra key in my purse. I rarely if ever forget to get my purse out of the car. And I use a bag system to help me remember other things. I pack tote bags with the things I need for each day and leave them on the door handle (house door, that is) the night before to grab as I unlock the door to go out. When there were children in the house, we used a square plastic basket on the kitchen counter to hold folders for each child with papers that needed to be signed, homework to be checked, etc. Other than that, a calendar is indispensable. Until recently, that has been a wall calendar and Outlook, but I got a smart phone two months ago and am learning to use it. Yum to the carmelitas! Must try! First, the photo alone puts the recipe on my to-do list. Second, I find that I need visual cues. I keep my medicine by the coffee pot because I make coffee every morning, I see my medicine and remember to take it. If I need to bring something with me, I place it where it can’t be missed before leaving the house. When the kids were home, I had a giant whiteboard calendar to keep track of what needed to be done and when. When I’m catering, I make lists, and physically cross items off. Necessity is the mother of invention, I can attest. I feel like my whole life needs to be revamped a la Lindsey Hudson 🙂 I’m also a last minute type person and you’re right, all it causes is undue stress! I hope you find the right balance for you between coping strategies and medication (and a few healthy servings of these GORGEOUS carmelitas ;)! Girl. The only (and I mean ONLY) way I survive is with a paper weekly planner. I schedule everything! From my meal plan, exercise, to-do’s for the day, even when I shower. This is like the only way I keep on top of things!